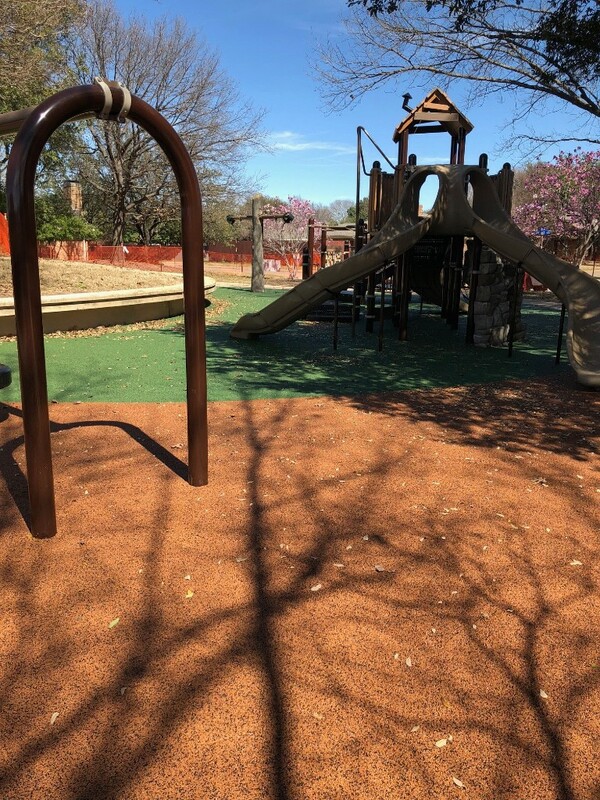 Vitriturf, leader in poured in place safety surfacing recently supplied its No Tire system at Addison Dome Park in Addison, Texas. The project in its entirety was highly scrutinized by the neighbors to the park. 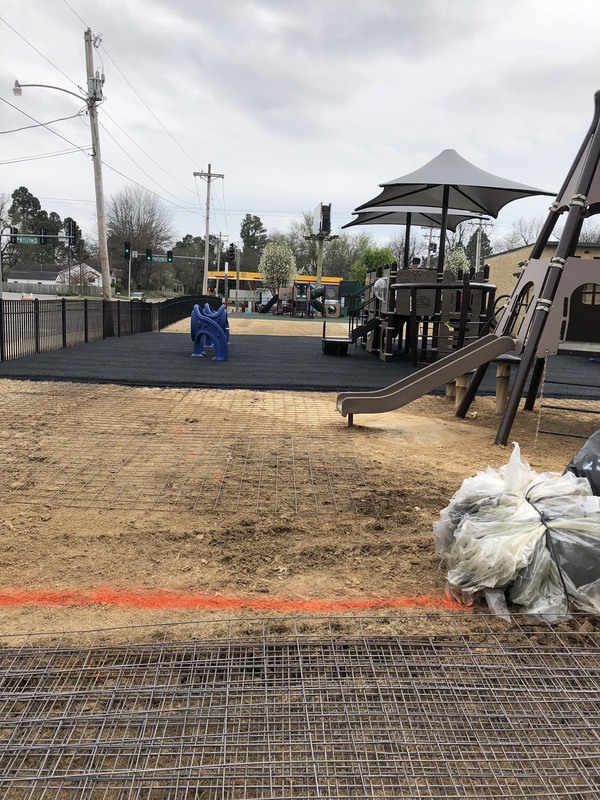 They had major concerns about the renovation process and specifically a concern about tires being utilized in the playground surfacing. Vitriturf had the answer, their NT System. It is the only poured in place safety surfacing system in North America to incorporate zero tires. The system combines three different post consumer rubber products to create the base mat of the system. The NT base meets the same shock attenuation standards as traditional tire based buffings utilized in the industry. 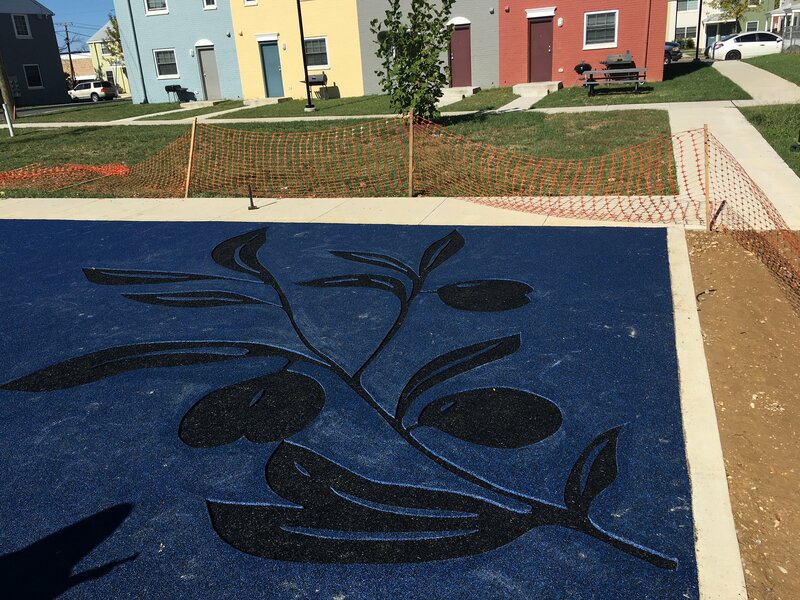 The 3000 square feet project was a huge success and the local community was completely satisfied with the results. 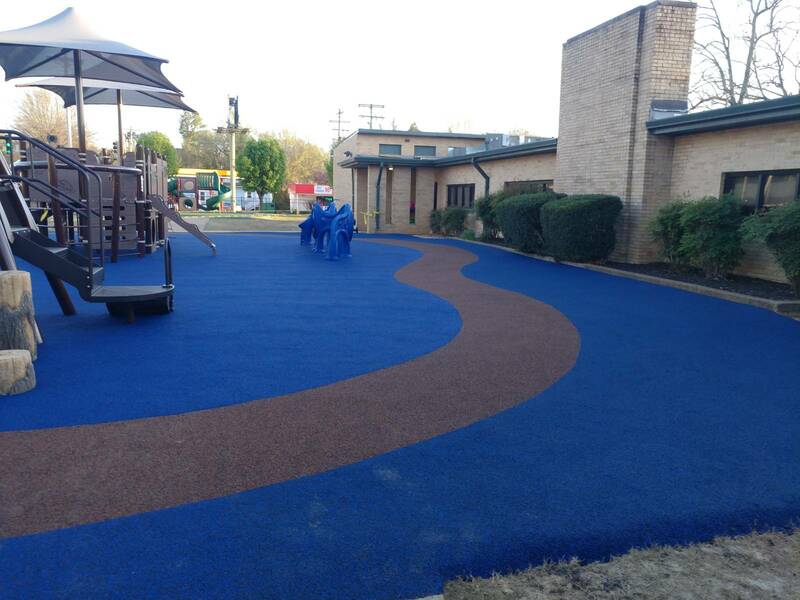 Vitriturf, a leader in poured in place safety surfacing systems recently completed the Washington Highlands Elementary School in Washington DC. What separates Vitriturf from its competitors is its factory crews. 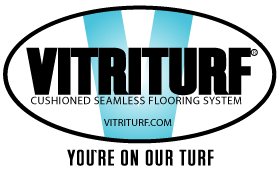 Vitriturf does not sub contract their labor, thereby having full control of the installation. Their crews are second to none and their expertise in detailing is unparalleled. 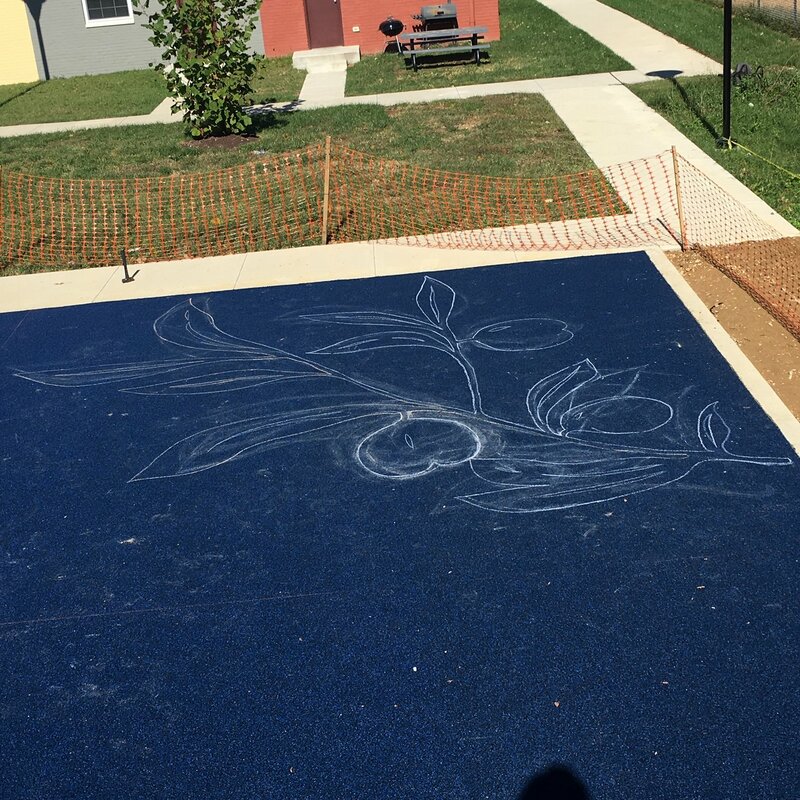 On this project, the crew hand drew the desired “vine” detail and meticulously provided the design to perfection. Vitriturf pays attention to the details on all of their projects. 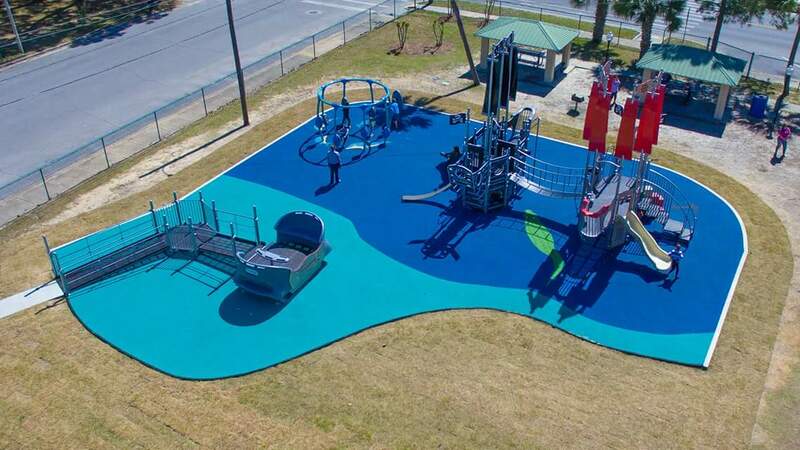 Vitriturf, a leader in poured in place safety surfacing systems was recently installed at the Oakland Terrace Park in Panama City, Florida. 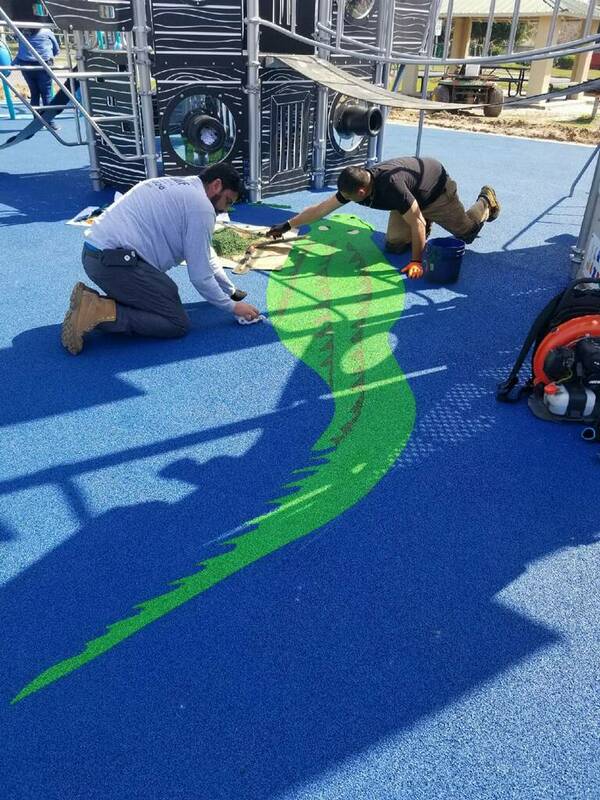 The project utilized two shades of blue to simulate water and incorporated dolphins and one large and unique alligator. 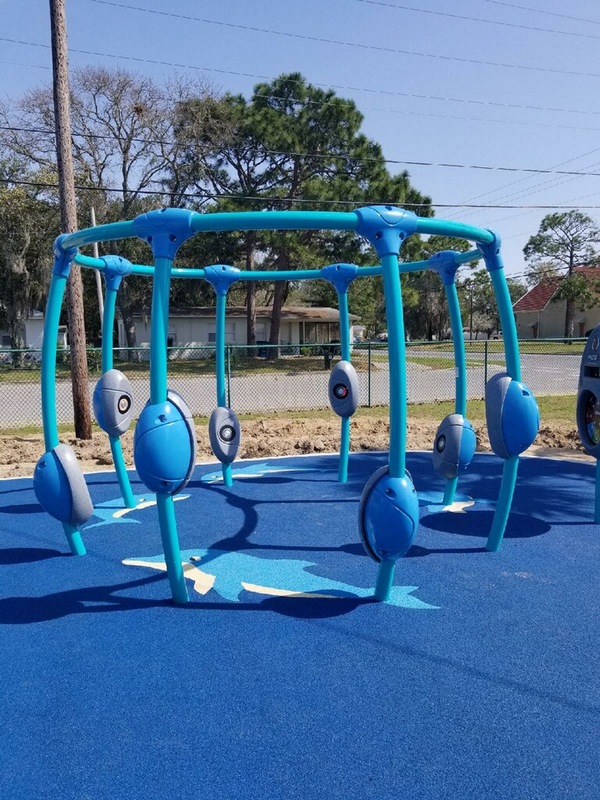 Vitriturf was the system of choice because of their expertise in design and they do not sub contract their labor, thereby having full control of the installation. This 3300 square foot project is a unique destination in the pan handle of Florida. 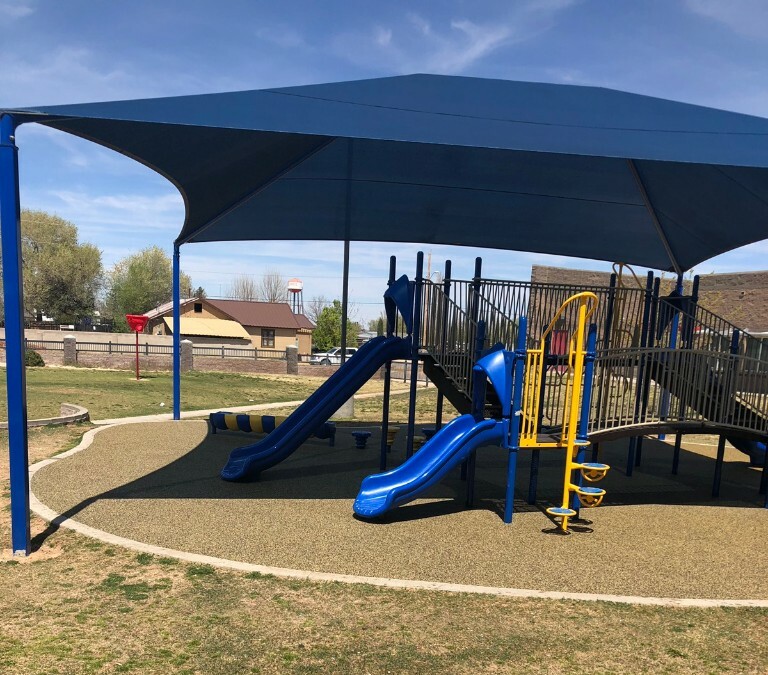 Vitriturf, leader in poured in place safety surfacing recently supplied its No Tire system at Meetie Jordan Elementary School in Eunice, New Mexico. With truck tires now coming from other countries with less regulatory restrictions, the concern for the ingredients in tires is becoming under intense scrutiny. Only Vitriturf has been a head of the curve and offers its clients a Zero Tire solution, Vitriturf NT. The system combines three different post consumer rubber products to create the base mat of the system. The NT base meets the same shock attenuation standards as traditional tire based buffings utilized in the industry. The 3800 square feet project was a huge success and the owner was completely satisfied with the results. 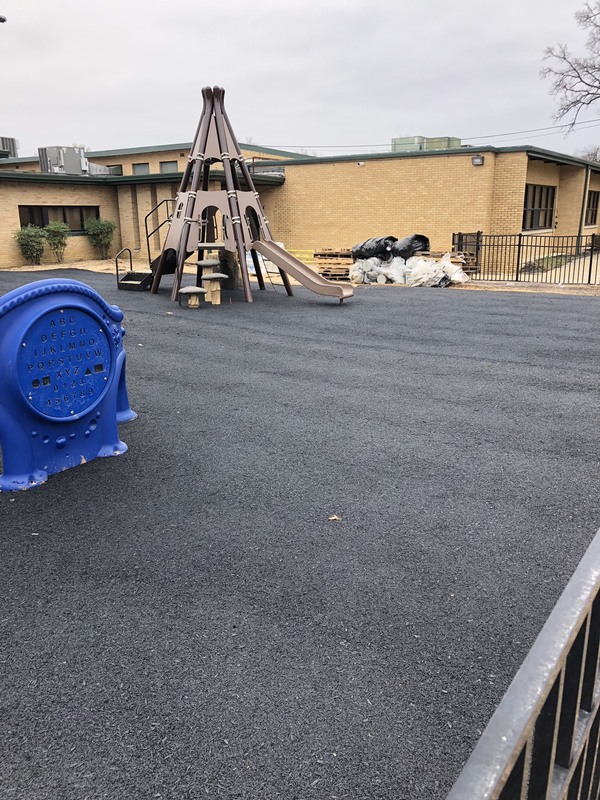 Vitriturf, leader in poured in place safety surfacing recently supplied its TK System to a school in Jonesboro, Arkansas. TK is the only system of its kind in poured in place safety surfacing. The system creates stabilization for Vitriturf to be installed over any hard, sound and flat sub base. In Jonesboro, the client didn’t have the funds to excavate the existing surface and install compacted stone aggregate. 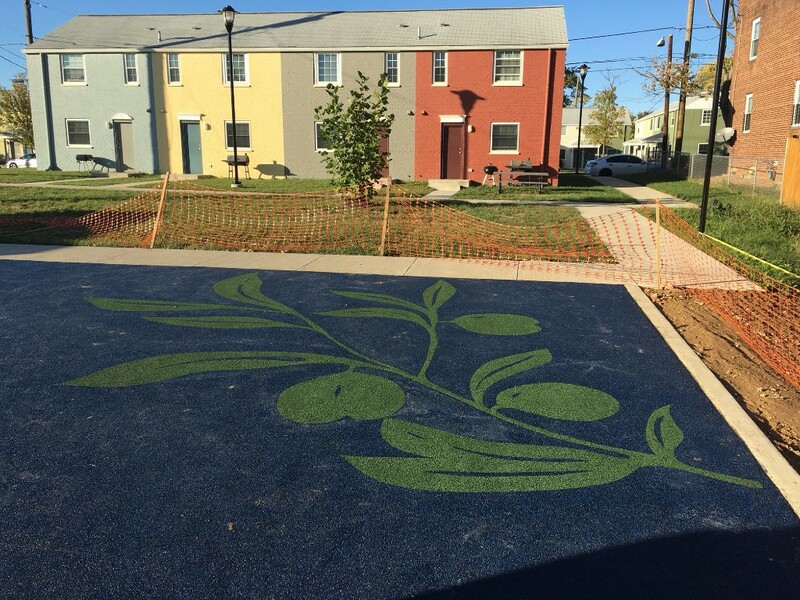 The Vitriturf TK System was chosen and the client estimated a savings of over $15,000. The TK System utilizes a welded wire mesh installed directly over the existing sub base and then the Vitriturf System installed directly over the mesh. This can be accomplished because Vitriturf changed its PH value in their binder so it would not react with the wire mesh. The TK System has been utilized for over 15 years with tremendous success. The 4800 square feet in Jonesboro can now be added to their list of completed projects.